A treaty trader visa is a visa that allows the holder to work in the United States for the purpose of promoting trade between the individuals home country and the United States. What is the difference between an E-2 and and E-1 Visa? Follow this link for more information on E-1 visas. For a UK National who does not qualify for an E2 visa an L visa may be an option for starting a business in the United States. In order to qualify for an L visa a business owner, employer or investor needs to have a related foreign business outside the United States. L visas may be available where less investment is involved than is possible with an E2 investor visa. One of the disadvantages of an E-1 visa is that it requires that trade between the home country and the Unites States remain “substantial”. If at any point trade with other countries starts to grow the impact can be the automatic invalidation of the E-1 visa. The Cheshire Cheese US Export Company, Ltd. produce a limited amount of cheese each year. All the cheese is exported to the United States. Rather than relying on US distributors Cheshire decide to send a salesman to the United States. 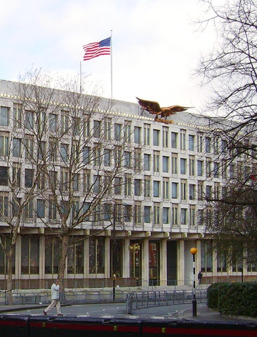 An application is filed in the US consulate in London and approved with the result that a salesman relocates to the US. While cheese sales are string in the US exports to Germany suddenly take off and exceed exports to the US. Under these circumstances trade with the US is no longer deemed “substantial” and the E-1 visa is automatically invalidated. Why Select D&A As your E-1 Visa Lawyers? D&A’s lawyers are recognized as leaders in the field of investor and small business visas. Our lawyers speak on these topics all over the world and are sought for their expertise in successfully resolving difficult cases. 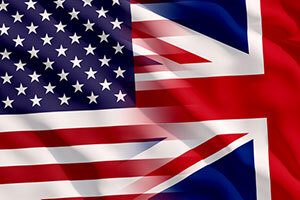 With a presence in London and the US D&A are uniquely positioned to assist UK Nationals for their business in the US and apply for the applicable visa in a US consulate.